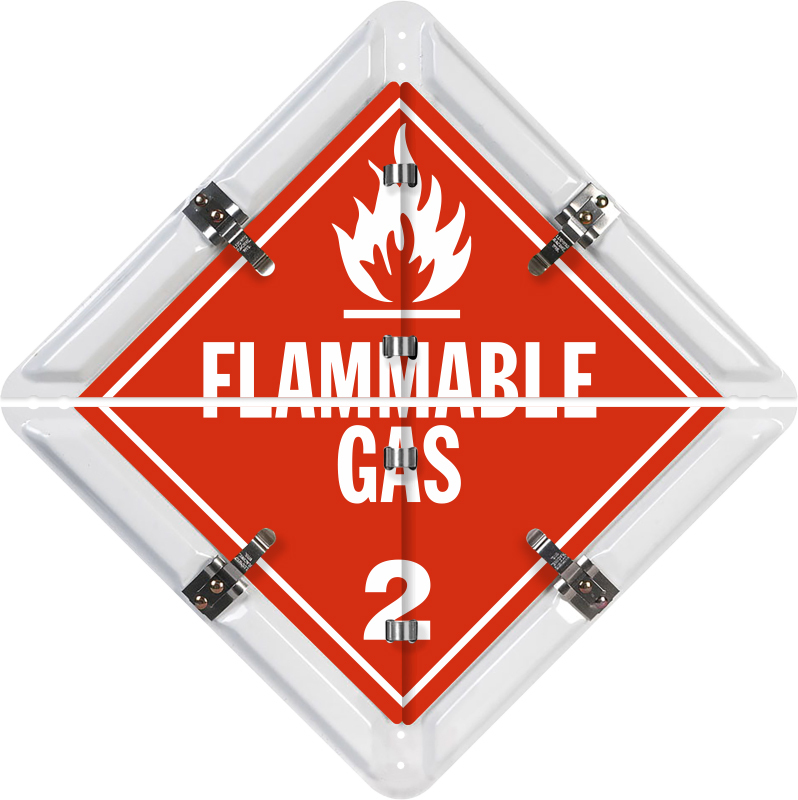 Contents Combustible, Corrosive, Dangerous, Dangerous When Wet, Flammable, Flammable Gas, Flammable Solid, Inhalation Hazard 2, Inhalation Hazard 6, Miscellaneous, Non-Flammable Gas, Oxidizer, PG III, Poison, Spontaneously Combustible DOT placard flip panels. 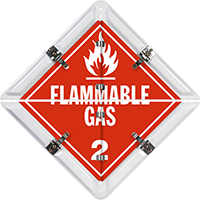 15-legend placard system is split – for mounting on roll-up doors. • Our double-riveted stainless steel spring clips to hold legend panels securely in place. Placards withstand wind and abuse. • The 32 mil thick back plate is made from heavy-duty, rust-free aluminum. Aluminum has a baked-on white coating. This is ideal for white doors. Match your truck color. • Panels feature extra large drain holes – proven to work better at preventing the buildup of ice and grime. • Easy flip system can be changed in seconds. Each legend meets DOT specifications.